Learn French outside! 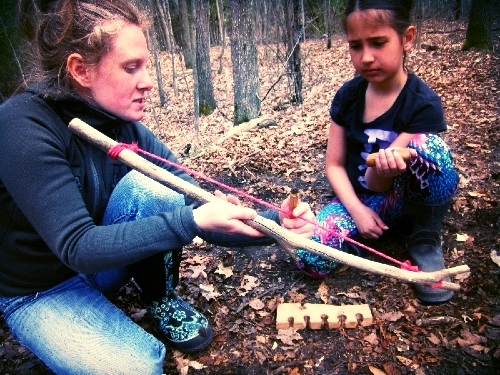 Hardwood Nature School, in partnership with Jumping Mouse and the Camp Kawartha Environment Centre, offers outdoor learning programs that combine French immersion, nature connection, wilderness skills, and outside play. Participants learn and practice French through songs, storytelling, games, imaginative play, and nature exploration. Join us Wednesdays at Camp Kawartha Environment Centre for Les Amis for 6 - 11 year olds.